Recently, many food manufacturers have increased their range of gluten-free products. Despite a food manufacturer's or supplier's best efforts, however, there nonetheless may be a risk that products manufactured to be gluten-free – or those that consumers expect to be naturally gluten-free – may become tainted with gluten. For example, a recent study of naturally gluten-free foods found at least one brand of soy flour (which gluten-allergy sufferers frequently purchase in order to make gluten-free bread) contained nearly 3,000 parts per million of gluten. Foods that are naturally gluten-free or are manufactured to be gluten-free may become tainted by gluten as the result of a supplier's handling or processing of ingredients. Additionally, a tainted product may make it to consumers despite a company's best efforts if pre-sale testing fails. If this happens, consumers may allege that a food company is liable for bodily injury or other harms from gluten, leading to potential legal liability and, perhaps, recall. To minimize the impact of such consequences, companies in the food industry must not only use traditional risk-spreading techniques like indemnification agreements, "additional insured" agreements and insurance policies; they must also be aware of and account for potential limitations in how these mechanisms will respond to gluten-related claims. Indemnification agreements are contracts through which a supplier secures a food manufacturer against loss. Many manufacturers rely on such agreements to decrease the financial impact of claims when contamination can be traced back to a supplier. Indemnity agreements may provide some protection against gluten-related claims or the costs of a recall, but manufacturers that rely on indemnities (and the suppliers that provide them) must be aware that there is tremendous variation in the protection that indemnification agreements provide. Jonathan M. Cohen is a partner in the Washington, D.C., law firm of Gilbert LLP. His practice focuses on the prevention and resolution of complex, multiparty disputes involving insurance, product liability, product recalls, and supply-chain issues for policyholders and others seeking coverage. He also represents clients in managing their business risks and advises clients with respect to insurance and contract-related aspects of their risk management strategies. He can be reached at cohenj@gotofirm.com. Jenna A. Hudson is an associate at Gilbert LLP. She represents policyholders in both federal and state trial courts with respect to a wide range of insurance coverage matters, including bodily injury and property damage, food-contamination, asbestos, and directors' and officers' coverage. She also advises post-bankruptcy trusts in the recovery of insurance proceeds. She can be reached at hudsonj@gotofirm.com. First, how an indemnification agreement is drafted will determine whether a gluten-related event triggers the supplier's indemnification obligation. Food manufacturers and their suppliers therefore should know the scope of what the indemnity will cover. Suppliers may also consider asking a food manufacturer for a bilateral indemnity, in case the food manufacturer's actions (or those of another company in the supply chain) contribute to the gluten-related event. Second, manufacturers and suppliers must be aware of the law that will apply if they seek to enforce an indemnity agreement. Some states will not enforce an indemnity agreement if the source of the harm was simple negligence. Similarly, international law and limitations on international and domestic jurisdiction may make it more difficult to recover from international suppliers. Third, manufacturers should be aware that an indemnity may only be as strong as the insurance the supplier has to back it up. This is particularly true of small domestic suppliers, which may have limited assets on their own. To supplement indemnification agreements, food manufacturers frequently also include "additional insured" provisions in their supply contracts, and thus require the supplier to add a food company to the supplier's insurance policies as an "additional insured." What additional insured agreements accomplish, however, varies greatly based on the specific language of the supply contract, the terms of the insurance policies at issue and applicable law. And, as with indemnification agreements, the ability to obtain coverage under "additional insured" provisions may be limited when a food company relies on international supply chains or on small domestic suppliers. Most food companies also rely on an array of insurance policies that cover different types of losses. For example, general liability, errors and omissions and directors and officers policies may cover bodily injury and professional liability claims arising from accidental gluten contamination. The coverage provided by these policies may, however, be limited by their terms and applicable law. Manufacturers (and suppliers) therefore should not only negotiate their insurance with gluten issues in mind, but they also should consider procuring recall or contamination policies, which may cover some of the costs of liabilities and losses that may fall outside of the coverage of more typical business insurance policies. 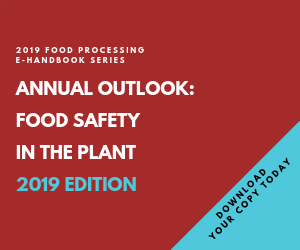 Recall policies may be particularly valuable for food companies that want to minimize bodily injury that results from a contamination event by proactively recalling a product as soon as contamination is identified. Recall policies are, however, new and evolving, and frequently cover some, but not all, recall costs arising from the accidental contamination. Moreover, insurers have begun to take the aggressive coverage-defeating position that recall policies do not cover certain recalls, even where the food company reasonably believed there to be a contamination that likely would cause bodily injuries to consumers. Food companies therefore may need to press insurers to broaden their policy language and the coverage that they sell.